Why didn’t my peony, forsythia, lilac, tulips, hydrangea, apple tree bloom? This common garden question has no one simple answer. There are many plants and many reasons for a lack of flowers. Listed below are popular flowering plants and common reasons for lack of flowers. Peony: Recently transplanted or planted too deep is the most common reason peonies fail to flower. Peony buds need exposure to cool temperatures, which buds normally get when planted 1.5 inches below the soil surface…any deeper and flower buds may not get cold enough. When moving peonies, pay close attention to bud height and plant at the same depth. Another reason: If your newly divided peony does not flower, they may need to grow larger before buds develop. Also, see Consider the Site information below. 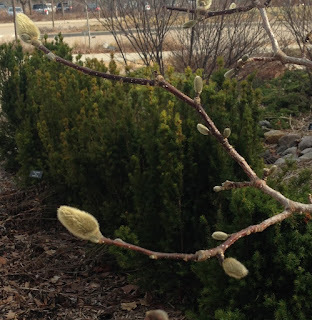 Forsythia: Flower buds may be killed due to cold temperatures…in MN only hardy forsythia will flower here, such as ‘Northern Sun’; in very cold winters, even these hardy cultivar flower buds can be killed. Branches covered with snow remain protected and flower; exposed branches may have no flowers. 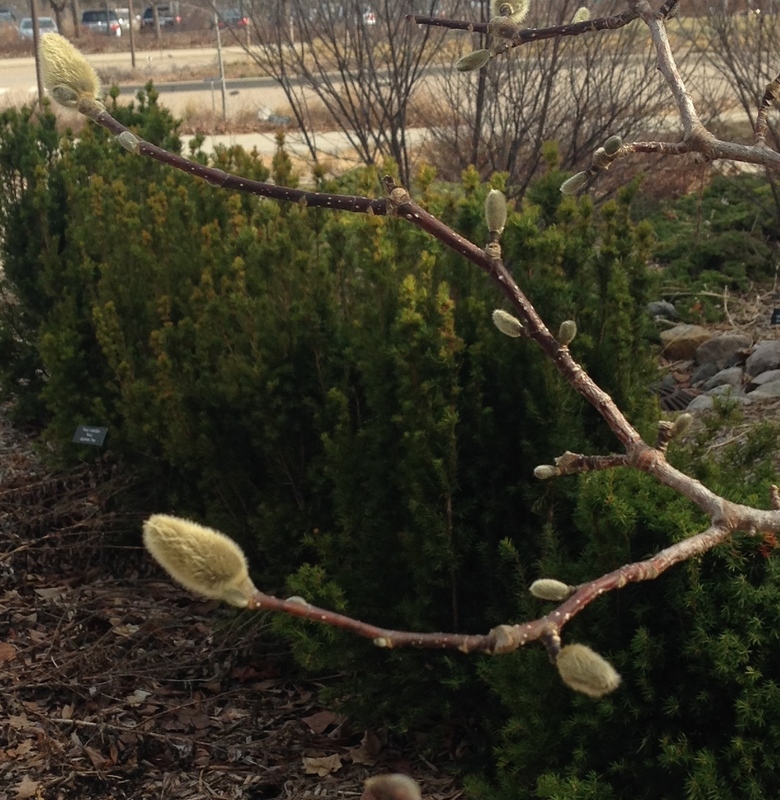 Another reason: plants were pruned in fall, removing the flower buds. Also, see Consider the Site information below. Lilac: Most likely reason: pruned in fall and cut off flower buds. Additional reason: Plant lacks the capacity to bloom due to limited food reserves usually from poor site…..too shady, competition from other plants, poor, compacted soil, restricted root area, very dry or too wet soils. Tulips: Most likely reason: tulips decline after the first year, tulip bulbs decrease in size as they age, becoming smaller; the bulbs lack the capacity to flower and send up only a leaf or two. Another reason: deer ate off flower buds. Plant species tulips such as Tulipa tarda or Tulipa greigii that are perennials. Hydrangea: Cold killed flower buds on less hardy kinds, such as Hydrangea macrophylla ‘Endless Summer,’ which is more difficult to grow in Minnesota. Pee Gee and Annabelle are specific cultivars of H. arborescens and H. paniculata, two different species that are hardy and recommended in Minnesota. There are many selections of these two species offered for sale in Minnesota. Also, see Consider the Site information below. Apple: Age of the plant can affect flower formation in apples. Some kinds are just slow or recalcitrant (reluctant) to form flowers. This is an inherent genetic factor that we cannot regulate or control. ‘Zestar’ seems to flower at a young age, faster than ‘Honeycrisp’ both cultivars released by the U of M and recommended for Minnesota. Also, see Consider the Site information below. Consider the Site: A shady site will limit what plants can grow and flower: flowers and fruit usually require full sun for the best performance; exceptions are plants grown for and sold as SHADE tolerant, such as hosta or perennial geraniums. Compacted or shallow soil will limit the size of a plant’s root system; poor sandy soil that holds few nutrients can limit plant growth. Have a soil test done for any area where plants are underperforming to see what nutrients are needed. If possible, remove competition from nearby plants to improve sunlight for non-flowering plants. Plant new selections better suited to a shady, dry or wet sites and incorporate organic matter or compost into the soil.